It’s a dog’s life on Fort Myers Beach – in the good way: from indolence to being completely pampered. Oh, yea, we love our pets on Fort Myers Beach and we especially love our pets in most of our luxurious Sun Palace Vacation homes! Load up Butch or Miss Ambrosia in the family car (grandma, too) and come on down for the family fun time of your lives! 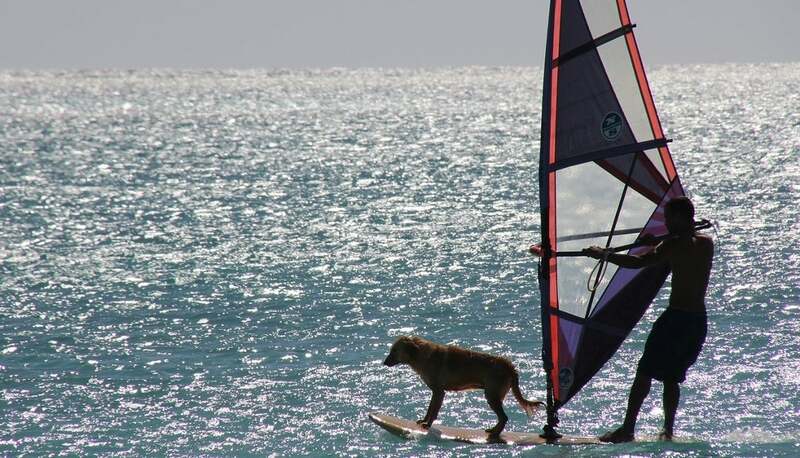 Seriously, Fort Myers Beach and Sanibel are the only beach communities friendly to pets – with pet facilities – along the Florida coast between St. Pete and Marco Island. Dogs are welcomed here. Cats, too. Want to bring your emu? Well, check with us but maybe. “Nice marmot,”…The Dude (and still he abided). Of course your pet is part of your family, so it seems little cruel to load up the minivan and wave good-bye. More importantl, it can be nerve-racking to leave your animal in the care of friends who may or may not remember to check in everyday, or in the care of strangers at a kennel. And, well, let’s face it, the cost of a dog-sitter can be as high as a hotel room. 1. How well does my pet travel? Some dogs love the car, others don’t. If you have a dog that doesn’t like to travel, consider asking your vet for a sedative for the trip. Also make sure you plan in extra time for water and potty breaks while you drive. 2. What does you dog need to feel at home? While there are several properties that feature private beaches and heated pools, odds are your dog cares more about his or her favorite bed pillow and water dish. Make a list of everything your pet will need, and bring it with you. 3. How much space does your dog need? If you have a large dog, you’ll need a vacation rental that gives him or her enough room to sleep, eat, and exercise. Fortunately, our website has a section dedicated to properties that accept pets over 30 lbs. 4. Does your dog like the water? While most beaches that allow dogs will require you to keep your pet on a leash, he or she will still be able to run in the water or swim. Even if your dogs have never been around the ocean before, they will at least want to get their feet wet. 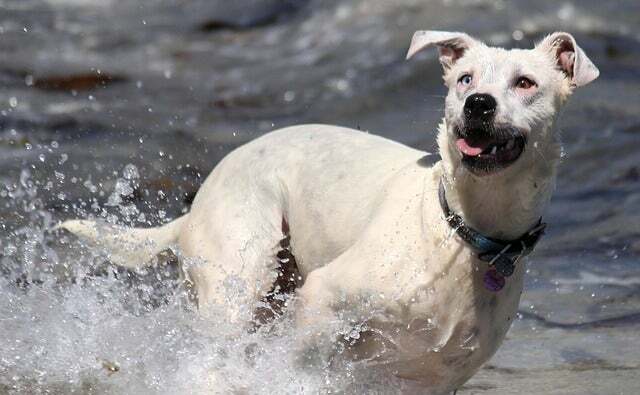 If your dog doesn’t like the water, you can leave him or her in the vacation rental until you get back from the beach. Caloosahatchee Creeks Preserve has two areas open every day. Both have paved parking, restrooms, boardwalks and trails. Wetlands, pine flatwood and hammock ecosystems await in the eastern aside while the western offers canoeing, kayaking, fishing, jogging, geocaching and a picnic pavilion. Nervous Nellies huge waterfront patio is a fun, relaxing eatery with boat and car parking, live music, seafood, mega-sandwiches, entrees and appetizers. Ugly’s Waterside Bar is right upstairs. Fish House’s Fort Myers Beach location is for boaters, beach-goers and landlubbers alike. They serve healthy, natural cuisine at this favorite with three convenient locations. Fishing Buddy Charters offers four and six-hour private fishing charters for some reel fun and sight-seeing tours for viewing local nature and its habitats. 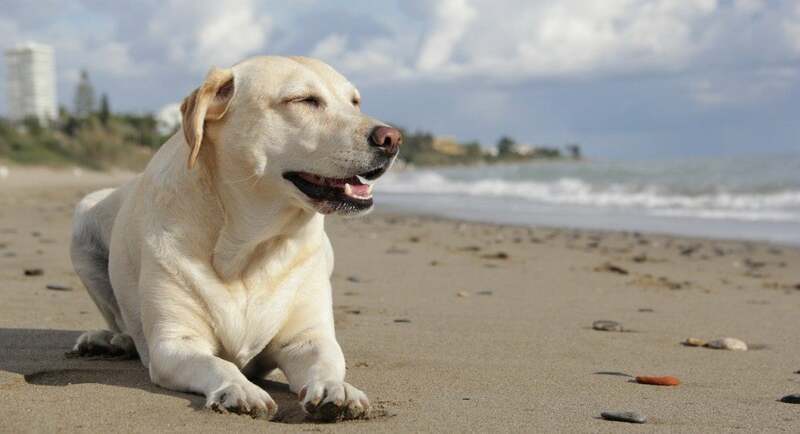 Whether you are planning your annual vacation, visiting friends or relatives, or want to escape a cold climate for an extended stay, you and your canine companion can bask at beaches and pet-friendly activities here. These prime, mostly waterfront home vacation rental properties book quickly, so contact us today to reserve your next home away from home where sunny days and sandy beach beneath bare feet beckon paws and pauses alike. Call us for availability anytime of year to book a dream vacation home at Fort Myers Beach.